not for everyone but useful for some. Is this in all stores? If you're serious, as a charity shop worker myself, you'd be better off donating them to your local charity. If you're serious, as a charity shop worker myself, you'd be better off …If you're serious, as a charity shop worker myself, you'd be better off donating them to your local charity. 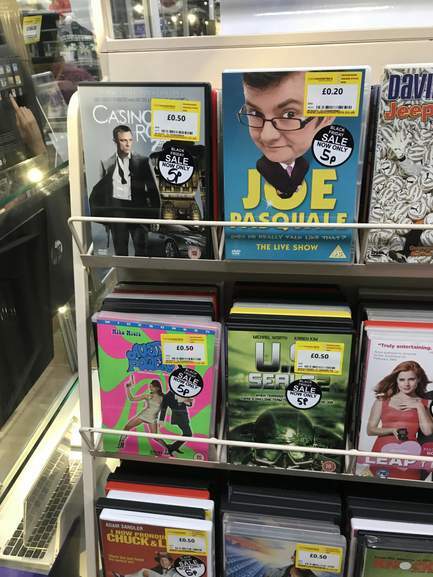 Ironically, you still wouldn't be able to sell the Joe Pasquale live DVD at that price.